If you decide to have a little walk through Lac-Mégantic during the evening, you will get to see the outlines of Church Sainte-Agnès come to light. Winner of the third place in the International Darc Awards Architectural for best exterior lighting scheme in 2016, the Church offers an impressive combination of lights and shadows. 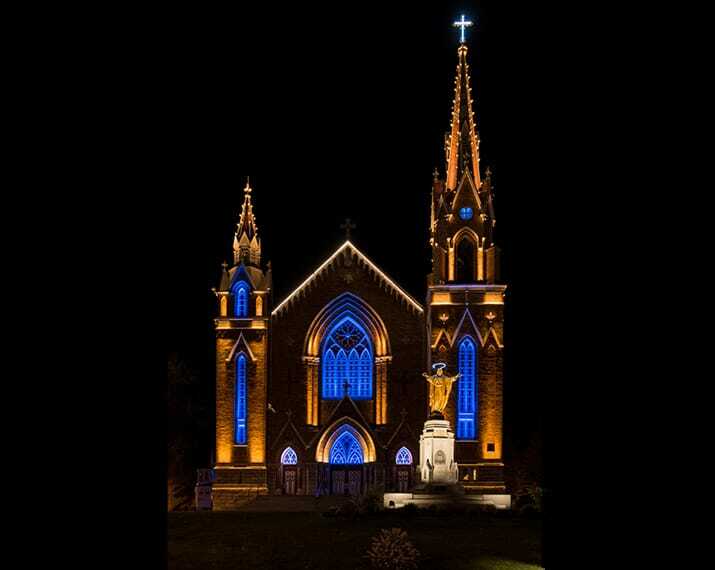 Sainte-Agnès Church, a beacon in the heart of the city of Lac-Mégantic.